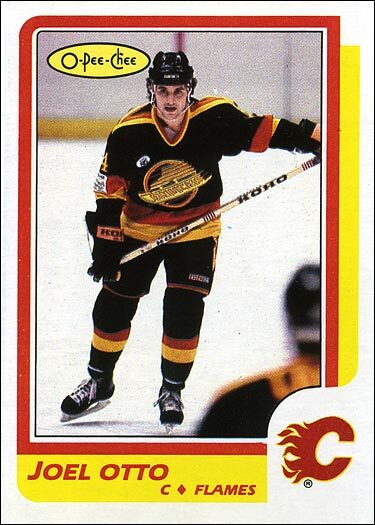 Those of you who read this blog no doubt recall my endless love for the 1990-91 Pro Set Hockey set. Between its colorful design and comprehensive player selection, it will always be one of my all-time favorites. 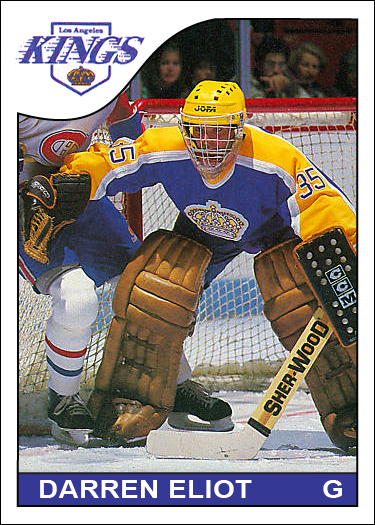 Everyone who has the 1986-87 O-Pee-Chee Hockey set is no doubt annoyed by the cards of Joel Otto and Moe Lemay. 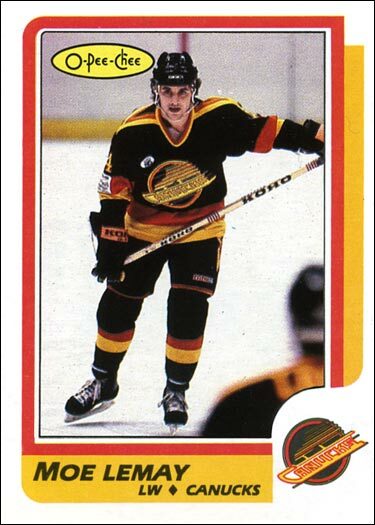 Joel Otto’s rookie card pictures Moe Lemay of the Vancouver Canucks. This mix up always irritated me. These guys do not have similar names or play for the same team (as were the causes of confusion in the infamous Steve Larmer / Steve Ludzik mix-up). Heck, these two cards aren’t even next to each other in the set. So, this error just seemed to be laziness or ineptitude on the manufacturer’s part. All they had to do was look at the stats for either player to see that they weren’t traded to new teams. I actually printed these two customs out on photo paper, cut them out, and placed them in the 9-pocket pages in front of the error cards. They look pretty convincing, even when compared to the real cards in the set. I plan on sending a printed copy of the Joel Otto “correction” to get it autographed. 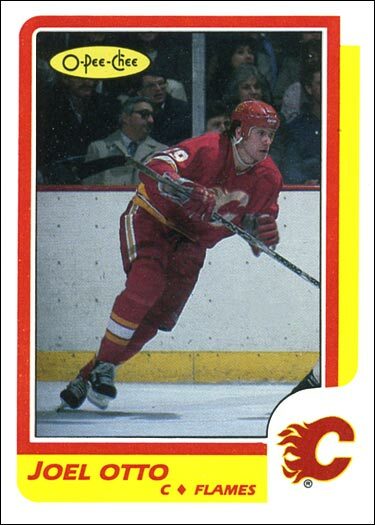 Paul McIntosh is a former NHL defenseman. 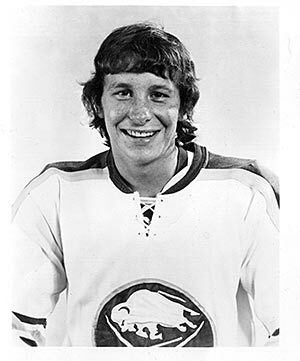 He played 48 regular season games and 2 playoff games between 1974-75 and 1975-76 for the Buffalo Sabres. 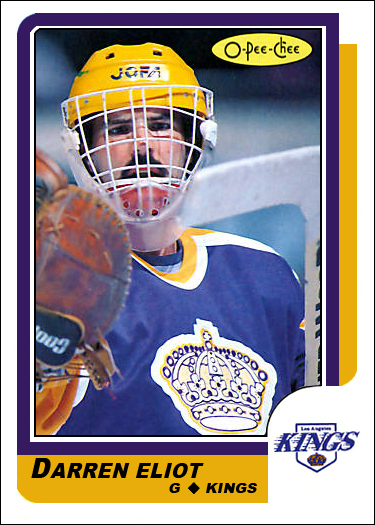 But he never got an NHL trading card. I don’t know Mr. McIntosh personally, but we share a mutual acquaintance who volunteered my graphic design skills to create a card for him. The only pictures Mr. McIntosh had were two black-and-white team issue photos. 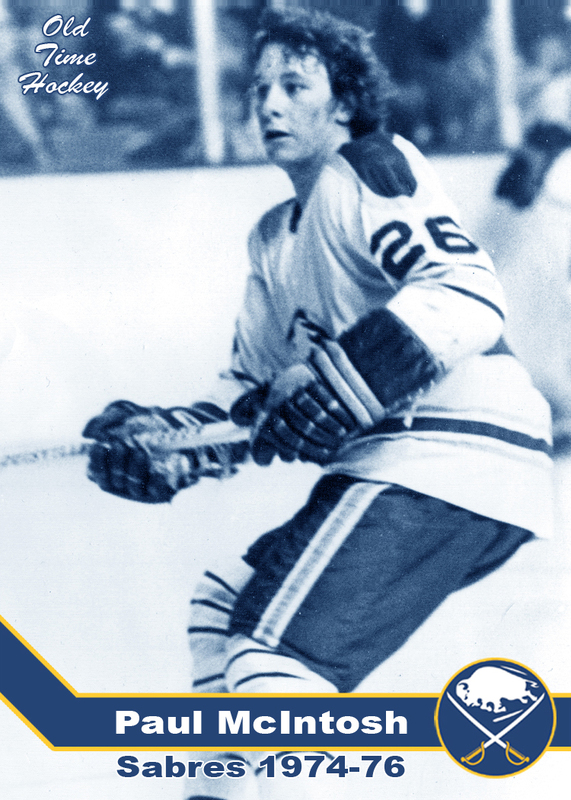 Instead, I decided to tint the photos, pulling a shade of blue from the Buffalo Sabres logo. Since color borders always look odd on black-and-white pictures, I opted for no borders, and used a simple “hockey stick” design for the player’s name. While I could have used a color photo found on the internet, our intentions were to have this card printed out professionally for Mr. McIntosh to give to his family and friends. 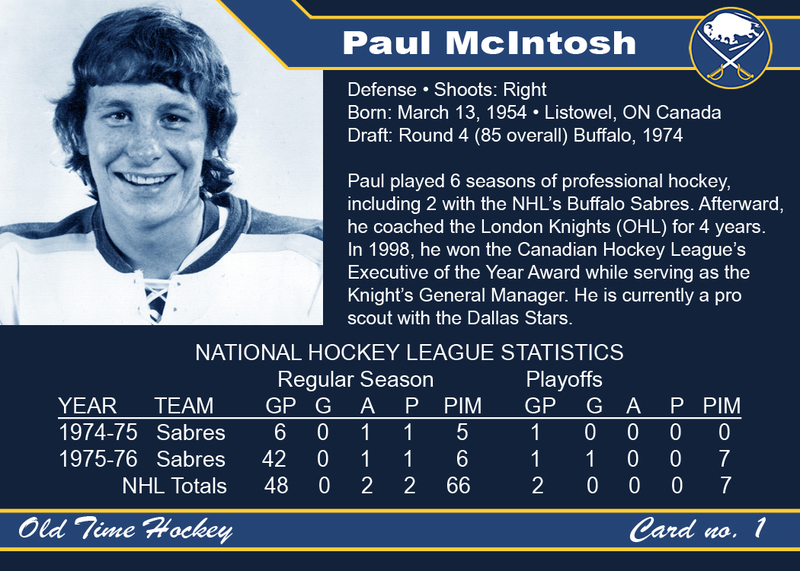 The back of the card has Mr. McIntosh’s biographical information and his NHL stats. After having the cards printed, my friend gave the cards to Mr. McIntosh, who lives in Buffalo but works as a scout for the Dallas Stars. He was happy to finally get a trading card showing him with the Sabres. Those of you who follow this website are probably familiar with my Autograph Blog. But few of you probably knew about my now-former Custom Hockey Card blog. 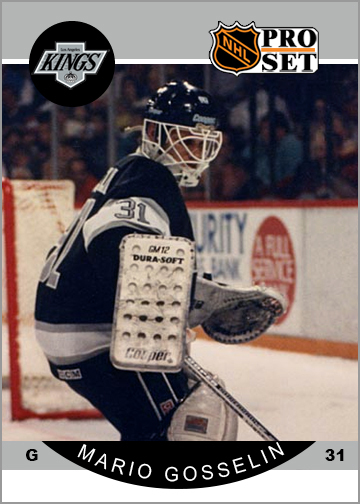 Yep, I had a custom hockey card blog. And I hadn’t updated it in 2 years, so I decided it was time to let that one go. If only all webmasters were so conscientious and would clean up cyberspace by deleting their abandoned blogs. Anyway, I’m still going to make custom cards. And I am going to show off some of the cards I made in the past. Here are two customs from the 2007-08 O-Pee-Chee set. Curtis Joseph appeared in 9 games for the Calgary Flames in 2007-08. All of his cards from that season picture him with his previous team, the Phoenix Coyotes. 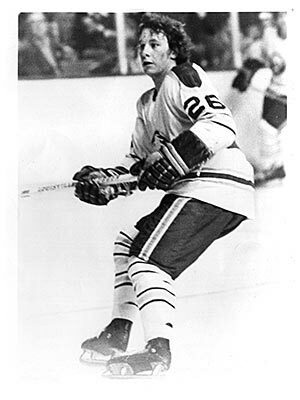 The following year, he’d play for the Toronto Maple Leafs. 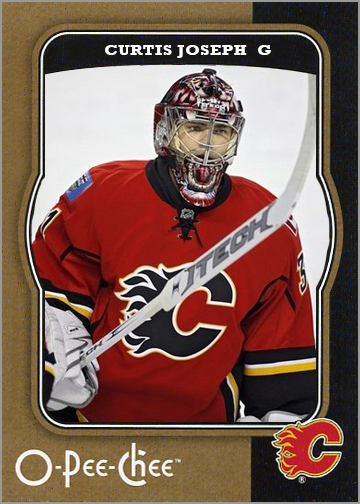 No cards were made of Joseph with the Flames, so I made a custom using the 2007-08 O-Pee-Chee set. It’s not the greatest looking set, but it is easy enough to spoof. I used this card to fill in a gap in my Career in Cards article about Joseph. 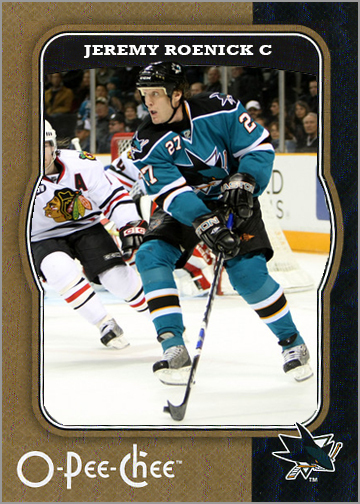 On the other hand, Jeremy Roenick did not get any cards made of him during the 2007-08 season, save for a few Jersey cards. 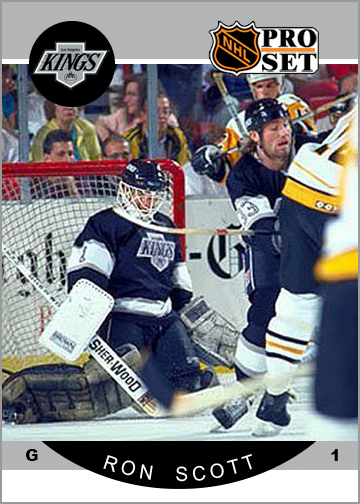 Roenick said prior to the start of the season that he was going to retire, but San Jose Sharks General Manager (and former teammate of Roenick) Doug Wilson talked him into playing 2 more years with the Sharks. Like Joseph, I also did a Career in Cards article about Roenick, so I needed something to put for that season. J.R. netted his 500th goal in 2007-08, so it is disappointing that he didn’t get any cardboard that year.